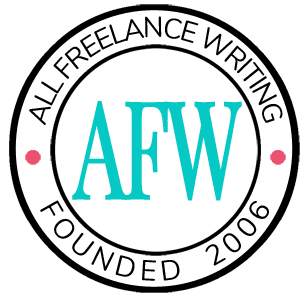 Welcome to the first episode of the All Freelance Writing Podcast for 2015. 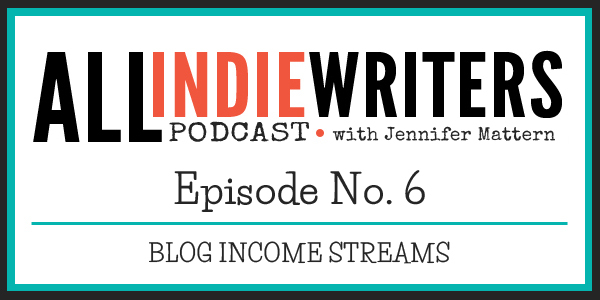 In the shows sixth episode we'll explore ways you can make money blogging, answer a question about e-book revenue, introduce you to a cool tool that can help you stay on track in the New Year, and "meet" the guest co-host for the next episode, coming in two weeks. This was a sampling from a past blog post, Make Money Blogging: 20 Blog Revenue Streams. Check out that article for even more ideas. Is (Nonfiction) E-book Publishing Worth the Time Investment? "I have never written an e-book before and expect, therefore, that I would have to publish and market it myself. If I were to write one, it would be of high quality and targeted to IT types. The biggest reason that I have not done anything with this idea is that I have no concept of whether revenues from an e-book would justify my time. Any range of results or potential expectations for a first, independently published e-book that you are aware of that could help me make such a decision?" In the episode I share an example of how I earned thousands from my first e-book, written in one weekend, and promoted very lightly -- all because I knew my market, I identified a need, and I filled it with my content. I won't go into that in more depth here because it was already discussed in my most recent email newsletter and it's a story already scheduled to be shared to the All Freelance Writing blog next week. While in my case my first e-book was much more profitable than most, keep in mind that most indie authors don't make thousands from their first e-book. They can be lucky to sell a few hundred copies. That said, I think it's important to look at stats cautiously (and I've linked some from recent years below). For example, "average" earnings doesn't tell you anything realistic because those figures are skewed by the very few indies who sell phenomenally well. At the same time, even looking at what the majority of writers make, numbers are still skewed, only downward. That's because the averages can include hobbyists who have no real intention of profiting from their e-book sales. Therefore they don't treat their e-book publishing as a business, and they don't put much effort into gaining sales. Those types of authors are fine and dandy, doing what they want to do. But in no way should their sales statistics influence your decisions if your goal is to earn from your e-books. This episode's recommended resource is my new favorite productivity / to-do list app: Todoist. This app is available for Android and iOS devices, as a browser app, and as an app for your Mac or Windows computer. Listen to the episode to find out why I love it, what it offers (mostly free! ), and what my one complaint is (it's kind of a big one, but I still love it). My second guest co-host, Lori Widmer, will be joining me for episode 7, scheduled to be released on January 22nd. Lori is a successful freelance writer, the blogger behind the Words on the Page blog, an e-book author, and she recently became a published poet. She's also one of the three colleagues I often refer to as my "go-to gals" (along with Yolander Prinzel and Cathy Miller). Those are the friends and colleagues who keep me sane, let me get much of my ranting out without exposing the rest of you to it, and are the people I trust most to slap me upside the head when I'm in a writing funk or about to do something stupid.